created to promote and support the work of Nebraska authors. Could any classics library be complete without Jane Austen’s Pride and Prejudice? This one certainly wouldn’t. Further, it’s a book that needs no introduction. Much as I’d like to talk about my first reading of it, and the several movie adaptations of it I’ve seen, it’s a book that speaks for itself. 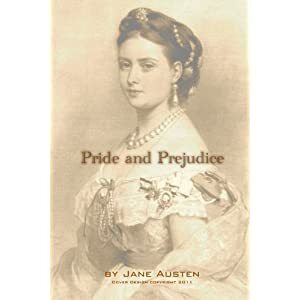 Although she was neither widely known nor widely read until well into the Twentieth Century, Jane Austen had successfully published four novels in her lifetime. Two additional novels were published shortly after her death. Flatwater Press is pleased to present this nicely-priced high-quality edition of her most famous work. As an editor, I have striven to be light-handed. I corrected one typo which appears to have escaped notice for at least half a century. Beyond that, I have substituted a for an in those places where the latter is not euphonic to the contemporary American reader. contributions to Flatwater Press are not tax-deductible; hence, our fund-raising efforts are effectively limited to net revenues generated from the sale of items at a fair market value. As we seek ultimately to promote the work of Nebraska authors, publishing, distributing and marketing books seems the best place to begin. The Flatwater Press Classics Library is a collection of reasonably-priced high-quality paperback editions of timeless works of literature, and your purchase of these books will further our efforts greatly.